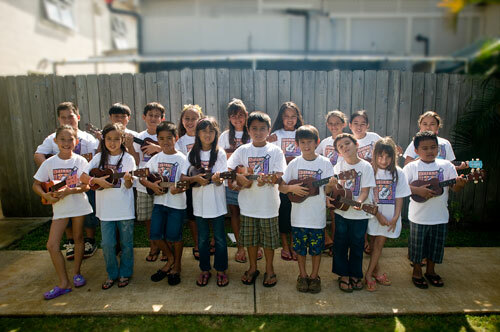 Arguably the most entertaining band in the universe, the Kilauea School Children’s Ukulele Orchestra strike a pose after playing Big Fun at Kong Lung. Every Thursday at 4:30p.m. the Kilauea Neighborhood Center Ball Park and Gym parking lot bustles with activity. Locals and tourists alike converge on this small historic town to sample some of the finest produce available. From this small group of farmers, you’re likely to find a huge variety of fresh, local, and organic fruits and vegetables. Get there early and browse around before selling begins. Business usually opens with a car honk and/or a yell. The Kilauea Farmer’s Market has the freshest produce like bananas, breadfruit and other locally grown goodies. It’s easy to get caught up in the excitement when everyone begins snatching their choice of produce and money begins changing hands. 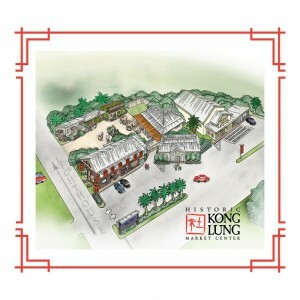 The market is next to Kong Lung Historic Market Center on Keneke Street. All the locals come out for the Farmer’s Market. Visit kauaifestivals.com for the most current listing of Kauai’s events and festivals. Big Fun offers crafts for the keiki. The Kilauea Social Club is a authentic “backyard” band, but they come out into public every now and again to play Big Fun. (that’s a local term for really good groups that normally prefer to jam privately) that rarely come out to play a stage show. Foodies will love to sample some locally grown produce, watch an Iron Chef-style cook-off between local chefs, or maybe enjoy the scene from a table at one of Kong Lung’s eateries. And kids will have a great time participating in a variety of art and crafts including painting and lei making demonstrations. The definition of Big Fun!